During this holiday season, be sure not to underestimate the damage candy canes can do on your teeth and gums. They are a favorite treat for sure, but can cause a number of problems regardless of age. Belvidere Family Dentistry, one of the top dentists in Charlotte, North Carolina, is dedicated to keeping your family’s teeth strong and healthy year round. We can not only educate you on the safest ways to eat these sweets, but help repair possible damage that may be the result of improper eating. Candy canes are not risky for your teeth for one reason and one reason alone. These candies can be hazardous from many sides. 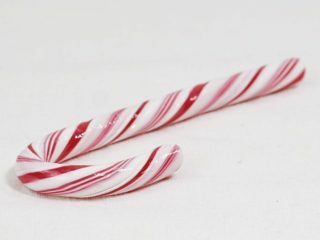 See, candy canes are made entirely out of sugar. Sugar, as a general rule of thumb, is a problem for teeth because it fuels the bacteria living on your teeth. Over time, these bacteria turn into acids and break down the teeth causing cavities or worse problems. Because candy canes are a hard candy, they also present another problem. Hard candies take a long time to dissolve in your mouth. That leaves plenty of time for the bacteria to have more and more access to the sugar. Even if you brush your teeth right away afterwards, they feast the entire time you are eating it. Finally, candy canes are shaped in a very fun and unique way. This particular shape makes it almost irresistible for people to bite down on it, young and old. This can cause chips and/or breaks in even the strongest teeth. If you do indulge this year, be sure to be careful. Brush thoroughly and regularly, minimize frequency of such treats, and be sure not to bite. No one wants to deal with the damage candy canes can do this holiday season. Be sure to call us at Belvidere Family Dentistry with any questions or concerns and we will be more than happy to help!